How your home can be a masterpiece. Painting your home is one of the most time consuming aspects of home maintenance, as well as one of the most important. 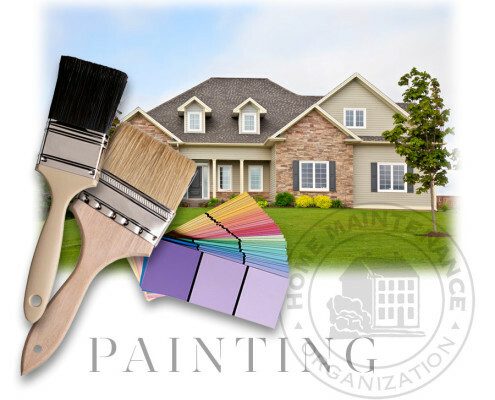 The team at the Home Maintenance Organization are experts in all aspects of painting, inside and out. will be protected from the elements. sure to repair damaged areas before painting. Our painting experts prepare all surfaces before applying a single coat to ensure a long lasting finish. suite your home. The Home Maintenance Organization can help translate your ideas into colors for the house, trim and extras that coordinate with the surroundings. We even have a variety of faux finishes to choose from.